is a freeware project, started in 2011, to analyse an application during the run-time. The project can be potentially useful in analysing malwares (static and run time), and for performing application crash analysis. The following sections break down the features (and functionality) of the Hook Analyser, and attempts to answer ‘How-to’ and ‘so-what’ queries. Application UI – Significant updates have been performed on the latest release (v 2.2) to make it more verbose. 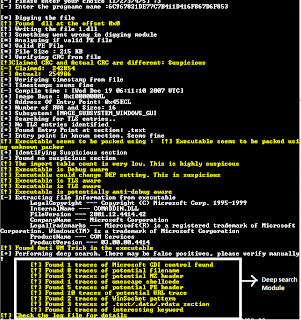 Hook Analyser is a hook tool which could be potentially helpful in reversing application and analyzing malwares. Bug fixes - Many thanks for community users to reporting them. Release of the Hook Analyser v2.6. -- Bug fixes - Many thanks for community users to reporting them.